We chose a smaller balloon company – Aerogelic Ballooning – mostly due to the fact that their baskets contained smaller groups of people (up to 6 compared to a dozen or more with larger companies). We were hpoing because it was a Monday that we’d be the only ones that showed up. This was not the case as two other couples showed up, however I must say they were pleasant people that I did not mind sharing the ride with at all. 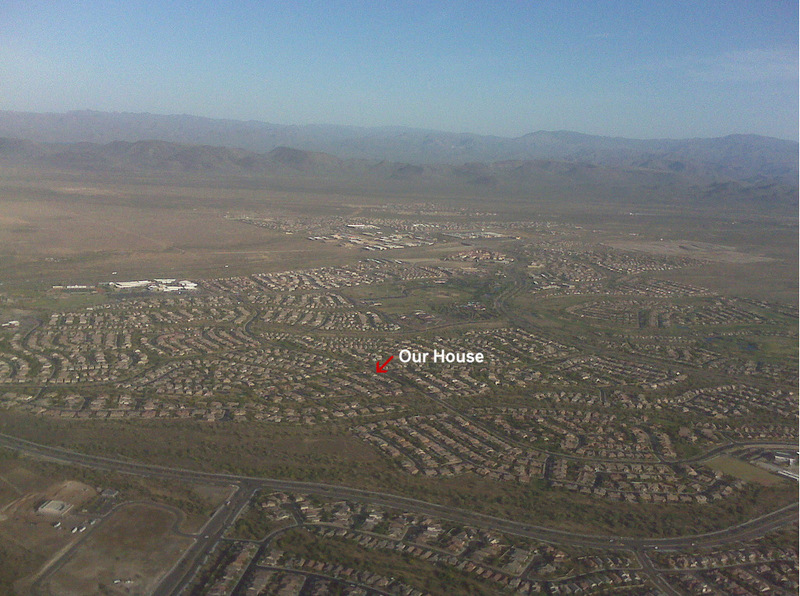 In fact, we shared our ballooning experience with a young couple (boyfriend and girlfriend) who were celebrating the gal’s 25th birthday and an older couple (older than us) who were celebrating a new home purchase (balloon ride supplied by their realtor). 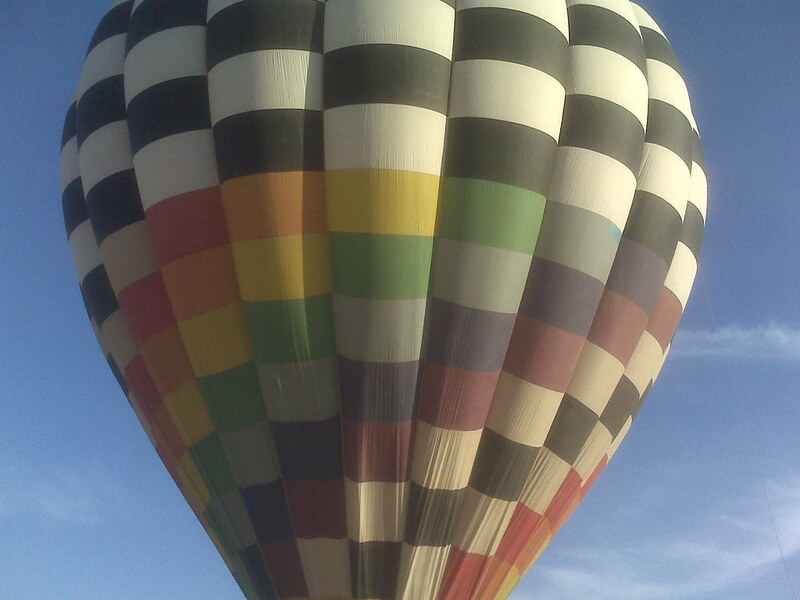 It was a first time experience, that is ballooning, for all of us. 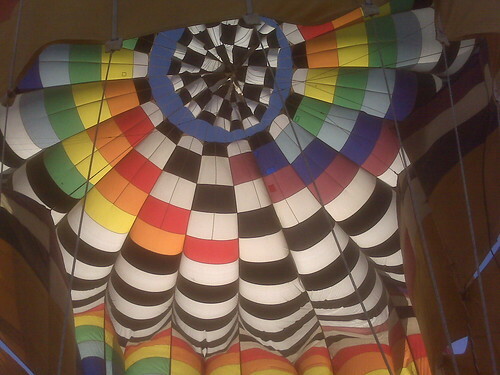 Without going into all the minute details of where we decided to launch from, the process of filling the balloon, the details of balloon flight, etc., I will say it was quite a pleasant experience. 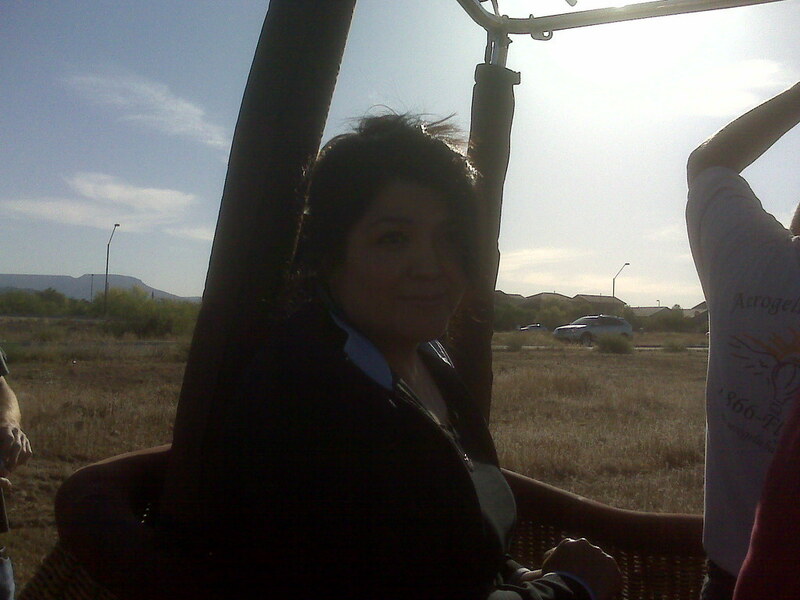 It was a bit cramped in the basket but the fact that you are essentially floating in the air was pretty awesome. 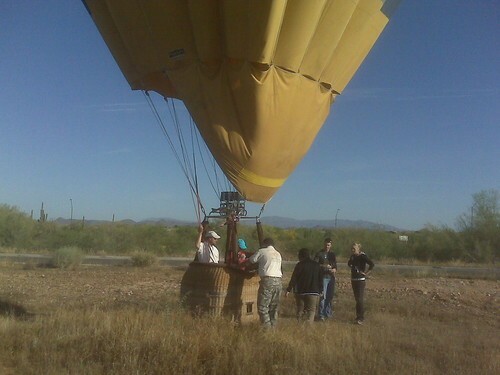 Add to the experience, it was very cool that even though we did not launch from our little community of Anthem, Arizona, the wind took us there anyway. 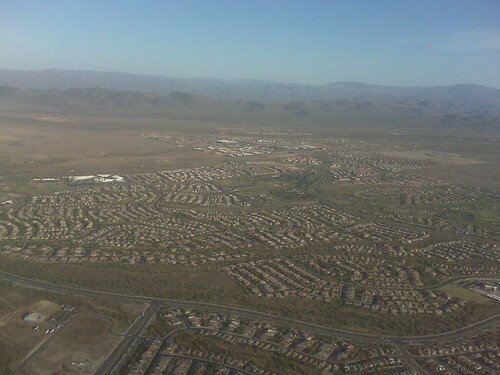 It was neat that at one point we were literally within a few feet of Anthem rooftops which prompted many to come out of their homes and stare, wave, even take pictures. Just minutes prior, we were 4,300 feet in the air! All in all I’m glad we did it and I would do it again in a moment’s notice. maybe next time we will try a sunset flight (did the sunrise this time) and see if going with a larger balloon company with larger baskets enhances the experience. Here are a few photos taken from my Blackberry (apologies for the quality).